Wherever industrial parts are manufactured or processed, parts cleaning technology is critical for the successful outcome of downstream manufacturing processes, and for the quality of the finished product. High standards of cleanliness are required, involving the removal of particulate residues and surface films – and the standards are getting more demanding all the time. 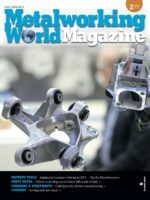 In order to remain competitive, companies around the world are under pressure to clean their parts to the required standards at the lowest possible cost. They can only do this, however, by reviewing and optimizing their processes on a regular basis. parts2clean, which in 2018 takes place from 23 to 25 October at the Stuttgart Exhibition Center, is a prime international source of the necessary parts cleaning know-how as well as an ideal buyers’ platform. For participating exhibitors in 2017, all this added up to many targeted inquiries and promising new leads, as well as orders placed on the spot. It therefore comes as no surprise that by mid-February of 2018, more than 80 companies had already made firm stand bookings for the next show, with virtually all the market and technology leaders in each display category on board. Taken together, these exhibitors have booked space equivalent to some 45 percent of the total area which was booked in 2017. These solution providers cover plant and installations, processes, process media and their conditioning for the degreasing, cleaning and pre-treatment of parts and components, handling and process automation, washer baskets and pallets, cleanroom technology, quality assurance, test methods and analytical procedures for cleanliness inspection, corrosion protection, preservation and packaging, as well as contract cleaning. While the range of exhibits addressing every link of the process chain is unparalleled throughout the world, parts2clean also highlights various special-interest themes such as deburring and cleaning in electronics production and medical technology, as well as ultra-fine cleaning and quality control in cleanroom environments. “The displays not only cover the latest in technology, but also the demands posed by global trends such as digitization, electromobility, miniaturization and lightweight construction, as well as the solutions capable of meeting these challenges”, commented Daebler.